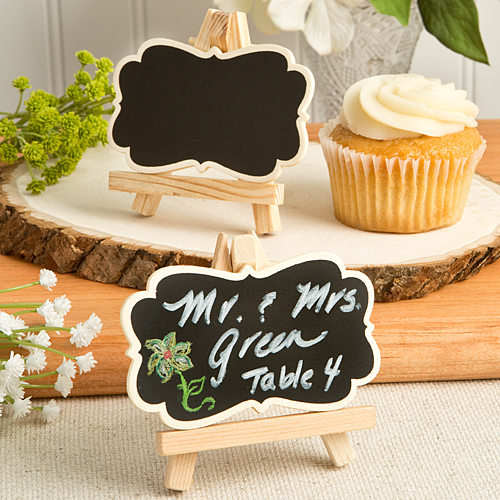 The mini blackboards are magnificently shaped with softly flowing curved borders, reminiscent of old Victorian framed paintings. Each blackboard stands on a miniature natural wood easel just waiting for those oils and brushes! Blackboard size is 3 1/2" x 2". Blackboard with easel size is 3 1/2" x 3 1/2". These personalized favors come bulk packed.